Finding the right Phuket Thailand Hotels and Resorts to suit your holiday is easy with our travel tips, reviews and recommendations. 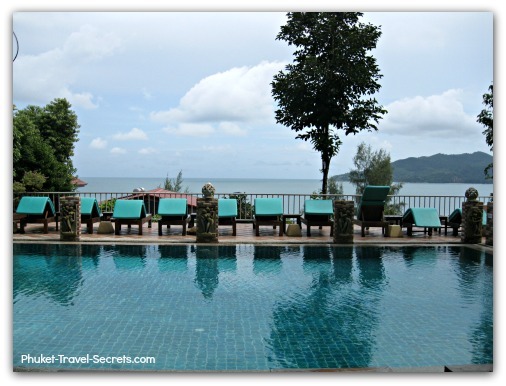 Many years ago on our first holiday to Phuket, there was only a handful of resorts in Patong. Today you will find a large selection of accommodation from hostels, guesthouses, cheap hotels, luxury five star resorts and villas scattered across the entire Island. Patong is still the main travel destination for many tourists visiting Phuket. However there are many other beautiful beaches around the island that offer a selection of wonderful hotels and resort to stay at. 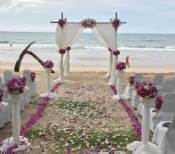 To really enjoy your holiday vacation in Phuket, finding the best hotel or resort can make a huge difference. Choosing the right place to stay will make your holiday a fun and memorable experience. Choose the wrong one and it could be a downright disaster! If your travelling with kids you need to look for a family friendly resort that caters well for families. When picking a family friendly resort ensure there is a good swimming pool, especially if you are planning your holiday during the monsoon season when the beaches can be too dangerous to go swimming. Look for a resort that has a kids club to allow yourself some much needed time to relax. As well as a good range of activities that your kids will enjoy as well as activities that you will also enjoy. You will find most resorts offer complimentary inclusions, check before booking that they offer everything you are looking for. While on the subject of fun activities for kids, have a look at some of the activities that the kids might enjoy during their stay in Phuket. Maybe you would prefer to stay in an all inclusive resort that has everything at your doorstep. Club Med at Kata Beach is an all inclusive resort, and is a great spot to stay. If you do decide to stay in an all inclusive resort, just beware that these packages will tend to tie you down to eating all your meals at the hotel. To really experience your Thailand holiday, you shouldn't tie yourself down to eating every meal at your resort as there is a fantastic choice of restaurants and places to eat around the island. When looking for Phuket Thailand Hotels it is best to read hotel reviews before booking, so you can see what other travellers have to say about their stay. Do you have your heart set on staying directly on the beach in a beachfront resort just steps away from the ocean? If so take a look at our list of absolute beachfront hotels and resorts. If you want to live it up and holiday in style while in Phuket you can't go past choosing a luxury private villa. There is no shortage of villas in Phuket and they are a great choice for large families or a group of friends. If a villa is not what you are looking for there is amazing five star resorts to choose from. 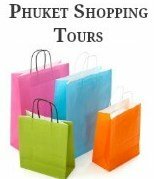 Many visitors also like to explore Phuket Town and take in the cultural side of the island. While other travellers need a hotel in town on a stopover on their way to Koh Phi Phi or other offshore islands. If your on a budget have a look at our list of great budget hotels, some of our most memorable holidays in Phuket have been in low cost quality hotels and resorts. We use Agoda to search for current room rates and to book our accommodation as they have a great selection of Phuket Thailand hotels and resorts with guest reviews and location maps. For more tips on planning your holiday and where to stay, check out some of the information on our Phuket Holiday page. If you have a question or come across any Phuket Thailand hotels or resorts that you think should be on our list, please use our contact form to let us know.